Talk about elevated coziness. 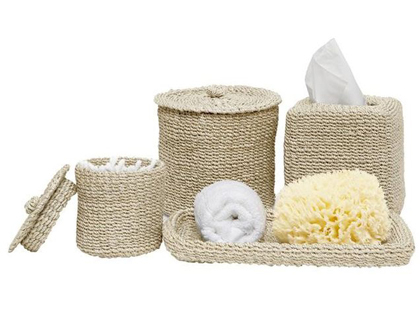 The delicately woven abaca of the softly structured Chelston Bath Set brings a welcome warmth to any bath. $35-$95. Free shipping. Buy here.